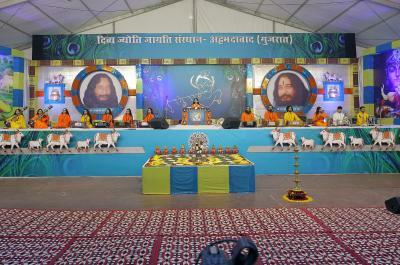 Shrimad Bhagwat Katha is a plethora of the divine proclamations made by Lord Krishna to mankind. The essence of Bhagwat Purana is to enlighten the spiritually starving souls with the true connotation of karma, devotion, worship and yogic ideals. 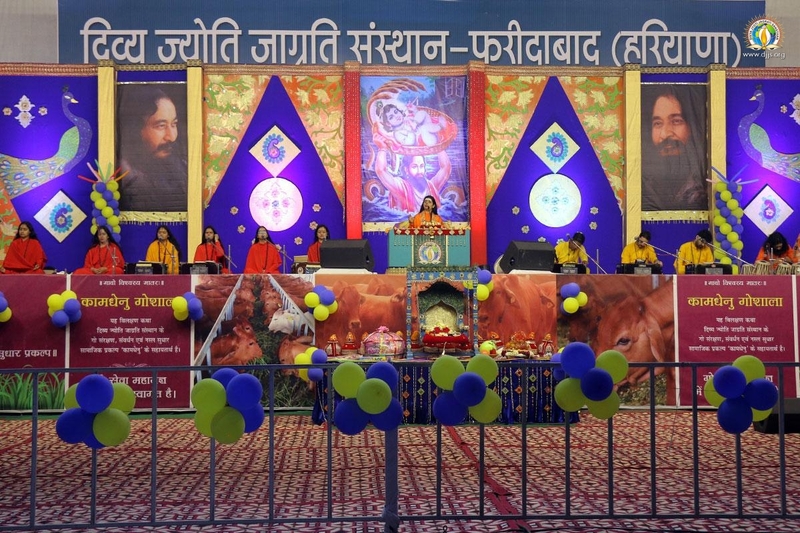 By the limitless grace of His Holiness Ashutosh Maharaj Ji, a 7 day eternal saga of Shrimad Bhagwat Katha was organized by Divya Jyoti Jagrati Sansthan from 25th to 31st March 2019 at Faridabad (Haryana). The Katha orator Sadhvi Aastha Bharti Ji earnestly narrated the theology of Lord Krishna through a series of devotional bhajans, chants and divine prepositions. The program commenced with mantra chanting and holy prayer at the lotus feet of Lord Krishna blissfully orchestrated by a team of disciple-musicians on stage. 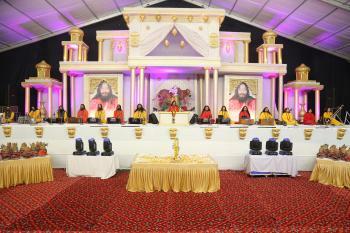 Many dignitaries, local politicians and spiritual devotees constituted the colossal gathering of attendees over the entire seven days event. 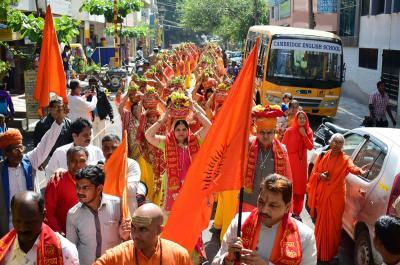 Sadhvi Ji elucidated the ancient legacy inherited from Krishna Leelas and highlighted the significance of the Lord’s acts as divine proclamations for the human beings to acknowledge the essence of their existence and how they should lead their lives. She unveiled the mystery behind Lord Krishna’s birth and his childhood Leela’s (divine plays) as exemplars of living a pure and sanctified life. 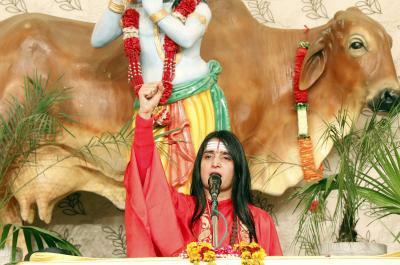 Sadhvi Ji cited the divine Leela of breaking the earthen pots filled with milk and butter cream by Lord Krishna as an epitome of destroying the shackles of our inner evils and tasting the divine nectar of the internal world equivalent to the pleasures of the contents of the mud pot savored by Shri Krishna and his friends. The inner knowledge of Brahm Gyan was bestowed upon the Gopis and other people of Braj by Krishna and they enjoyed the joys of inscrutable inner world. Sadhvi Ji concluded that Lord Krishna is the omniscient master of the entire universe and he advises us to follow his footsteps and seek out for the spiritual visionary of the times. Shri Ashutosh Maharaj Ji is such a perfect master of the present times who instills the deep science of Eternal-Self into the hearts of the knowledge seeking souls. This celestial science is the key to recharge one’s spiritual energies and embark upon a journey of inner transformation channelizing the negative karmas into the positive ones and to accomplish Lord Krishna’s pronouncement of universal brotherhood and rightful deeds.